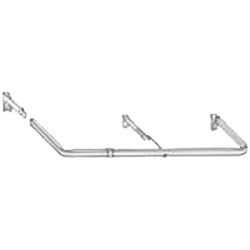 Single one inch valance curtain rod is made of steel with white enamel finish. Sizes adjust for fit a range of window widths. These rods are perfect hanging a valance with a 1 1/2" rod pocket over drapery or window blinds, and fits any window ranging from 32 to 88 inches. Brackets, screws, and instructions included. No center support. Clearance adjusts from 6 1/4" to 8 1/4". Bay window rod in extra strong lock seam style with adjustable sizing. Single 1" standard rod in white. Center adjusts from 36" to 63", Sides adjusts from 18" to 42" (each side). Two support included with all required hardware. To extend your center beyond 63" select the 29" Extender. Each one will extend out an additional 24" and includes one supporting bracket. Bay double window rod in extra strong lockseam style with adjustable sizing. Double 1" standard rod in white. Center adjusts from 36" to 63", Sides adjusts from 18" to 42" (each side). Two supports are included with all required hardware. Adds up to 24" width, one support. Fits 1" standard rod. Kirsch Lockseam Corner Curtain Rod is made of steel with white enamel finish. Seam locks in the back to provide maximum durability. Each side adjusts from 28" to 48" to perfectly fit your window. 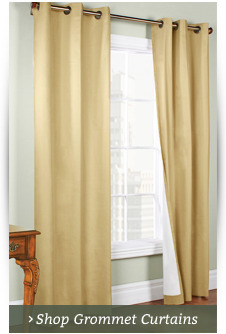 It's perfect hanging curtains in a corner window with a 1 1/2" rod pocket. Brackets, screws, and instructions included. Kirsch Double Corner Curtain Rod is made of steel with white enamel finish. Seam locks in the back to provide maximum durability. 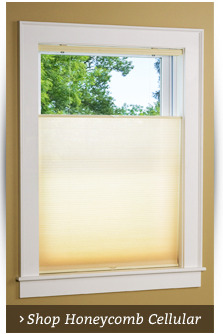 Each side adjusts from 28" to 48" to perfectly fit your window. 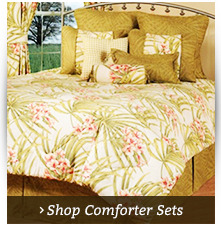 It's perfect hanging curtains with sheers behind in a corner window with a 1 1/2" rod pocket. For hanging curtains in a half circle window. 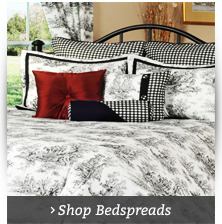 Comes in two adjustable sizes measuring 28 to 48 inches or 48 to 86 inches. One support. 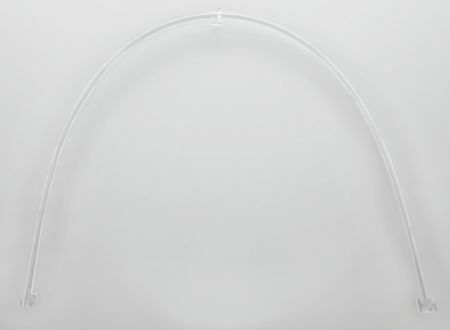 Flexible clear plastic Arch Rod Kit includes brackets, screws, and easy to follow instructions for installing. Sometimes your unique window treatment, window or room configuration will require a specialty curtain rod. The Curtain Shop is on hand to help you find the appropriate specialty curtain rods for your particular demands, with dozens of specialty rods to meet your needs. Whether you're looking for a simple way to hang curtains in a bay window or need specialty drapery rods for corners and other challenging configurations, The Curtain Shop has the right solution. You don't need an interior designer or a custom curtain maker to get custom-look window treatments. You'll find easy-to-install telescoping curtain rods to feet specialty curtain rod brackets, such as a previously installed drapery rod with flat brackets, as well as bay window curtain rods that allow you to easily dress up your challenging bay windows. We also carry convenient corner curtain rods that are designed to help you hang curtains in a corner window and arch top curtain rods for hanging window treatments on half-circle windows. Questions? You can always contact us with your inquiries.